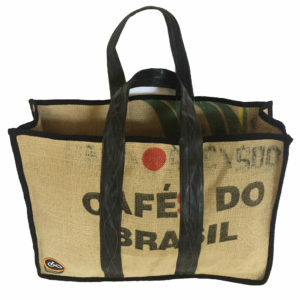 SKU: 5060559770279 Categories: Bags, Coffee Sack Products, Inner Tube Products, Everything Else Recycled! 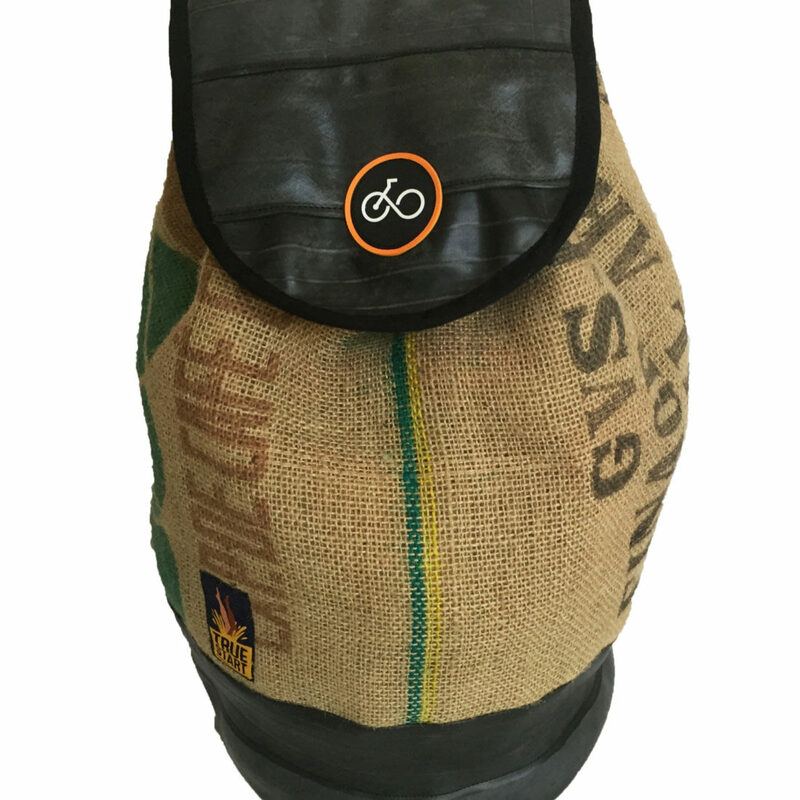 This has to be the best duffel on the market! 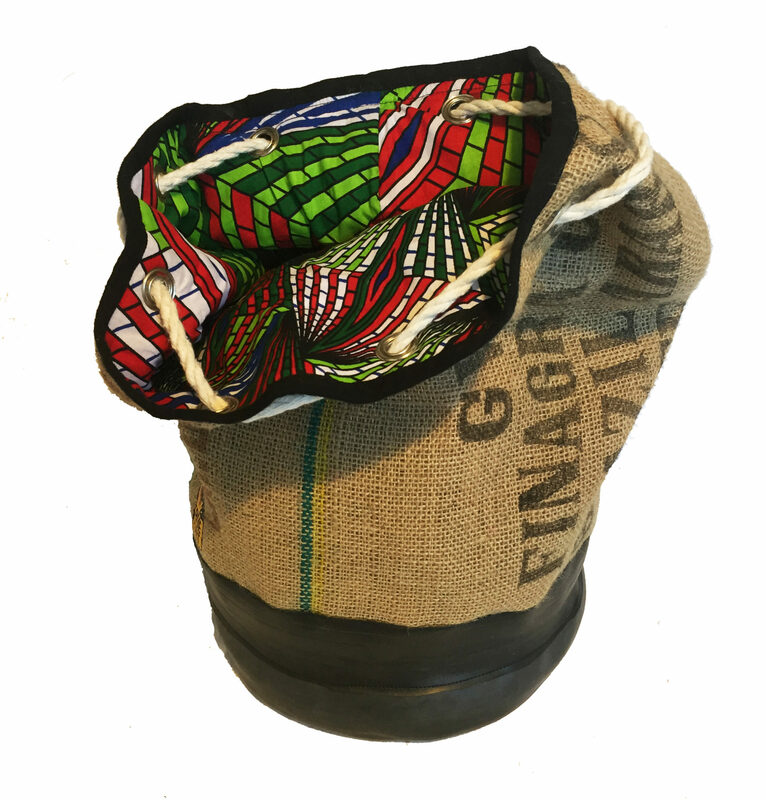 Traditionally styled to be a perfect overnight, shopping or college bag. 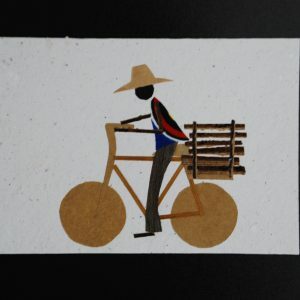 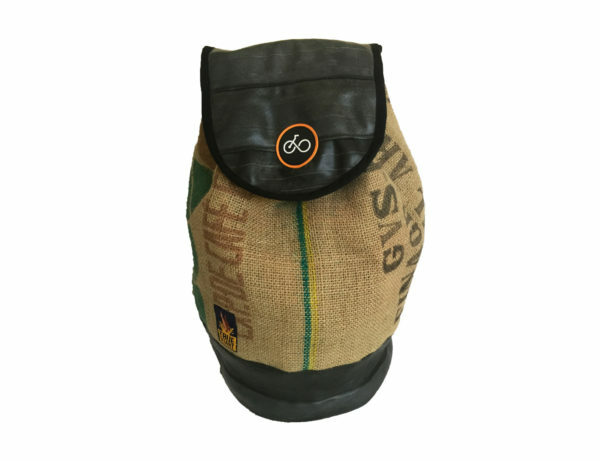 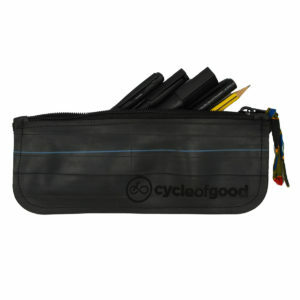 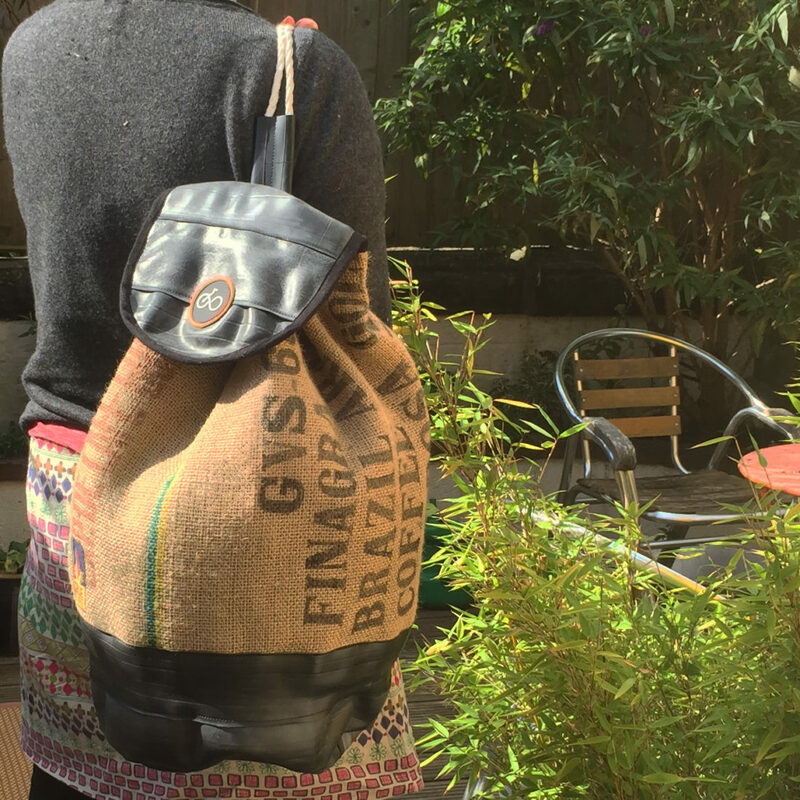 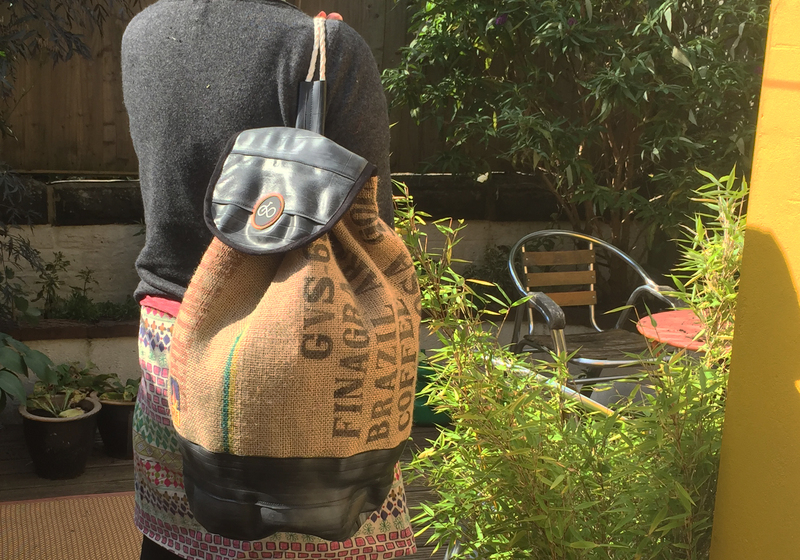 It’s made from recycled coffee sacks and old bicycle inner tubes, saved from landfill in the UK. 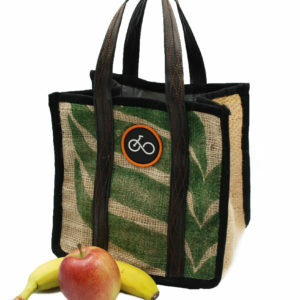 You can sling it over your shoulder, or split rope drawstring to make a back-pack which is perfect for cycling. 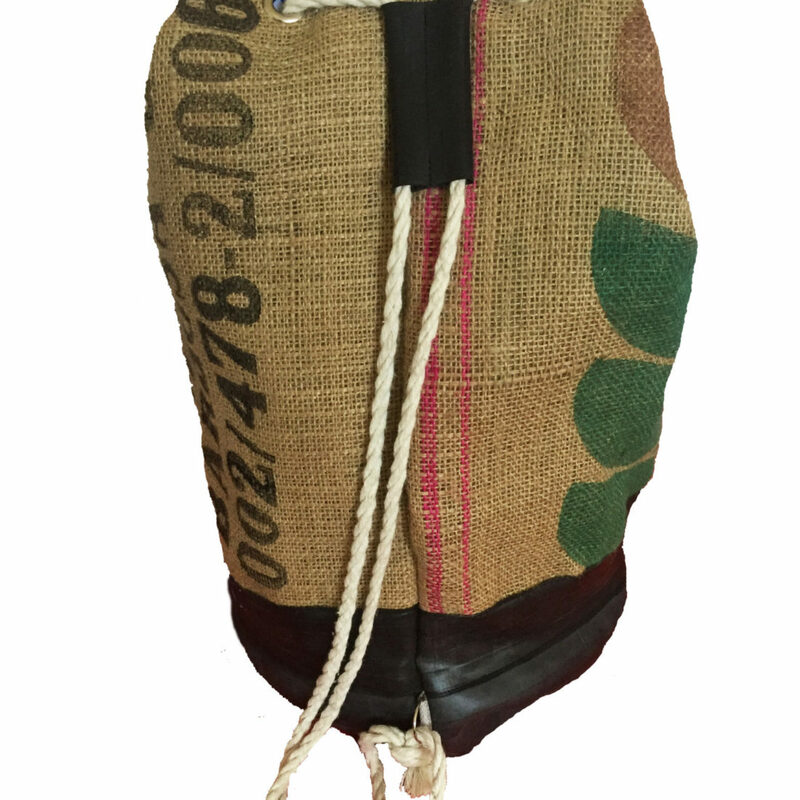 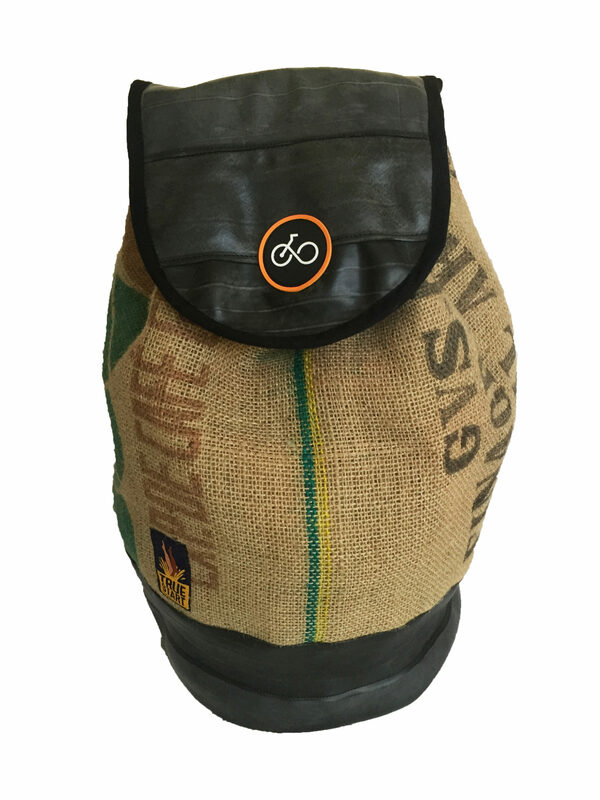 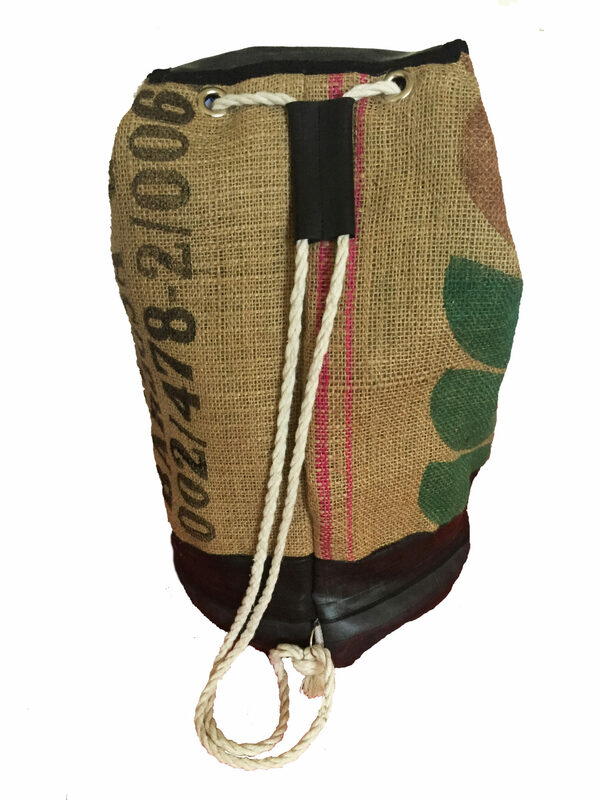 The inner tube base and flap, protect your stuff from showers, while the double layered coffee sack makes for a super strong bag. 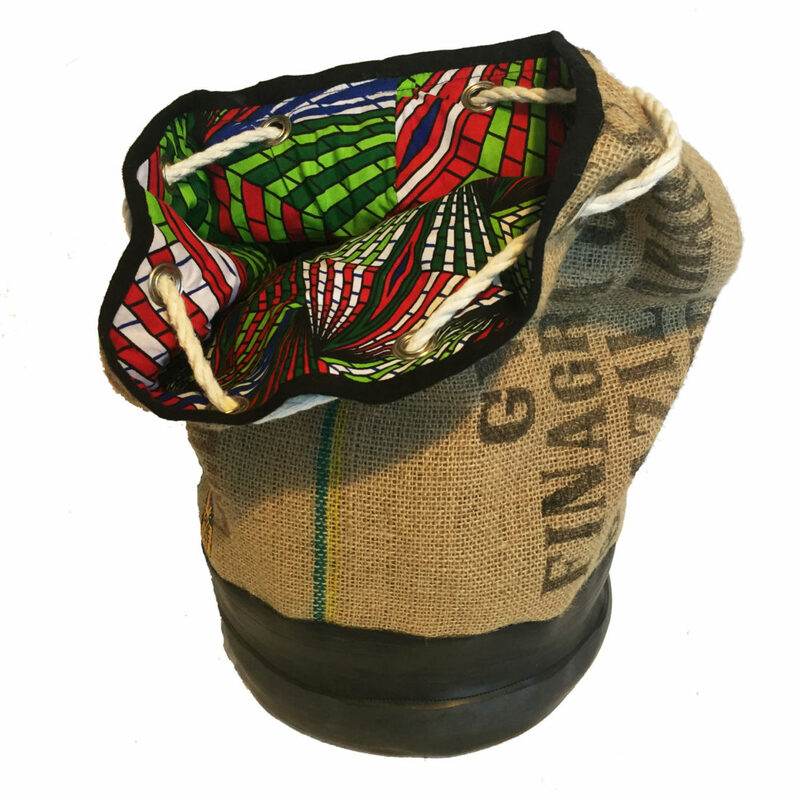 The bag is fully lined with African wax print cotton and is handcrafted by trained tailors in Malawi. 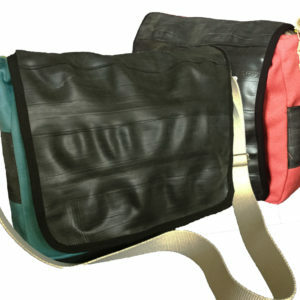 Linings may vary from the image shown.